Publication for maritime enthusiasts. 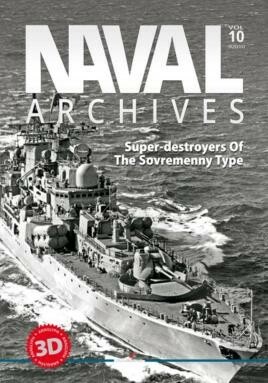 Each book is a set of articles particularly interesting for those who find warships fascinating. The book is amply illustrated with photos, coloured ship profiles and 3D visualisations. Additionally, each number contains a pair of 3D glasses, which allow a reader to admire stereoscopic anaglyphs of chosen vessels.